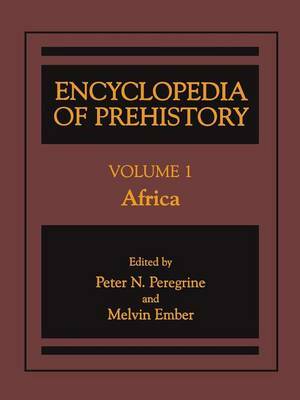 The Encyclopedia of Prehistory represents also defined by a somewhat different set of an attempt to provide basic information sociocultural characteristics than are eth- on all archaeologically known cultures, nological cultures. Major traditions are covering the entire globe and the entire defined based on common subsistence prehistory of humankind. It is designed as practices, sociopolitical organization, and a tool to assist in doing comparative material industries, but language, ideology, research on the peoples of the past. Most and kinship ties play little or no part in of the entries are written by the world's their definition because they are virtually foremost experts on the particular areas unrecoverable from archaeological con- and time periods. texts. In contrast, language, ideology, and The Encyclopedia is organized accord- kinship ties are central to defining ethno- ing to major traditions. A major tradition logical cultures. is defined as a group of populations sharing There are three types of entries in the similar subsistence practices, technology, Encyclopedia: the major tradition entry, and forms of sociopolitical organization, the regional sub tradition entry, and the which are spatially contiguous over a rela- site entry. Each contains different types of tively large area and which endure tempo- information, and each is intended to be rally for a relatively long period. Minimal used in a different way.